Cleaning dehydrator trays is something that most people don’t look forward to because it’s a hard and messy job to clean off the food residue from the trays. Often, people clean these trays but they’re not able to get them completely clean and there is food residue stuck to the trays. This food residue not only makes the next batch of food taste of the previous batch, but the presence of external food particles also makes the dehydration process longer. In all, if you’re looking for a flawless and timely dehydration of the food, you need to have clean trays. There is no question about that. In this article, we are going to discuss the best ways to clean dehydrator trays so that you can have your food dried without the presence of any contamination or taste from previous food particles. Also, there are times when you dry something new and it doesn’t turn out as you expected it to. And you are left with a dehydrator tray that’s got food stuck on it and because it has dried for a long time, it’s really hard to remove. In this article, we are going to take an in-depth look at the best ways to clean dehydrator trays. Cleaning dehydrator trays is not so difficult even if the trays are really dirty. You just need to have a few things with you and you need to know how to use them to their best ability to clean these trays. When you are about to clean your dehydrator trays, there are certain things you should gather before you embark upon this task. Here are a few things you will need to clean your dehydrato﻿﻿﻿r trays properly. Cleaning dehydrator trays should not be difficult at all. All you need to do is follow a few simple steps so that you can clean these trays in an efficient and quick manner. You need to plan beforehand so that you’re not stuck looking for things when you’re cleaning the trays. Here are the steps you need to follow to clean your dehydrator trays. If the trays are really dirty and they have food particles stuck on them, soaking the trays in a solution of soap and warm water overnight can help to loosen the food particles. You can fill up a sink or a small tub with a solution of soap and water to soak the trays. Make sure all the trays are under the water’s surface. If the food residue on the trays is still stuck hard, you can try putting vinegar or baking soda in the water. Once the trays are done soaking, the food residue on the trays will be much easier to clean. You can use a large scrubbing brush to remove the toughest of particles. In case there are still any particles stuck to the trays, you can use a small toothbrush to remove the particles from the trays easily. Make sure you wash the trays under running water to remove the residual food particles. Often, using a high pressure stream of water is enough to dislodge any small particles that have not been removed by a brush. Clean dehydrators trays look good and these also offer a better way to dry your favorite foods. Here are some reasons why you should regularly clean your dehydrator trays. Cleaning trays adds to their overall life. When your dehydrator trays are clean, you will be able to use them for much longer than if they are dirty. Drying food often leaves residue on the trays which can reduce the life of the material the trays are made of if it’s not cleaned properly in time. If you leave dehydrator trays uncleaned for a long time, it’s a risk that the next time you use these trays the next batch of food might get contaminated by the taste and smell of the previous batch. Even while storing the food trays, it is important that you clean the trays so that there is no risk of food contamination. Clean dehydrator trays are easier to use as you can keep more food on the trays and fit them in your dehydrator with ease. When the trays are clean, the food on them will get all the heat it needs to dry up properly. If there is any residue on the trays from previous sessions, it can add to the energy taken for the dehydration process. Often, different kinds of foods don’t gel with each other when it comes to drying them. Which is why you should always clean the dehydrator tray before drying the next batch of food that might be different from the previous batch. When you clean your dehydrator trays after every batch of dehydrating foods. The trays are easier to clean compared to cleaning the trays after making several batches of food. There is less food residue when you clean the trays often and it takes less time and effort to clean them as well. Clean dehydrator trays can decrease the time it takes to dry any food when all other factors are the same. If there is residue or food particles from previous drying sessions on the trays, these particles also get heated up again and this can interfere with the drying process. With clean trays, you will be able to get your food dry easily and quickly. Drying food on clean trays is much more sanitary than drying food on trays that have bits and pieces of food from previous drying sessions. You will be able to store your food easily in a hygienic condition when you dry it on clean trays. Users often have questions and queries regarding the cleaning of dehydrator trays. Here are some of the frequently asked questions regarding cleaning dehydrator trays. Q1) I’ve soaked the dehydrator trays in a solution of warm water and soap all night but still some food particles are stuck on it. What should I do? Ans. You can try soaking the trays in water mixed with Epsom salts to get rid of the food that’s still stuck to the dehydrator trays. You can also try scrubbing the trays with a hard brush to get the food particles off. Q2) I’ve just dehydrated some beef jerky and I want to dehydrated chicken next. Should I clean my dehydrator trays if I am only drying meat in two sessions? Ans. Yes. You should absolutely clean the trays as the fragrance and taste of the beef jerky can get mixed with the chicken that you want to dehydrate. It is also more hygienic to dry a new batch on clean trays. Q3) I’ve always had problems with cleaning dehydrator trays. Should I spray the trays with a bit of non-stick oil before dehydrating so that food doesn’t stick to it? Ans. It is a much better idea to use parchment paper in your dehydrator instead of brushing it with oil. Cleaning oil from your dehydrator trays can be really difficult as oil doesn’t even clean up with soap. (1) Spraying oil can also contaminate the food and reduce its shelf duration. Q4) I am trying to clean my Excalibur dehydrator trays, but these trays do not fit in the sink of my kitchen. What should I do? Ans. If the trays do not fit in the kitchen sink, you can try soaking them in a bucket of water or a large bowl that will be suitable for the trays. You can also get a large plastic bin from your local hardware store to keep the trays soaked in it. The whole idea is that the trays should be submerged in the water for a considerable time. Q5) I’ve used a scrubbing brush and a toothbrush to clean the trays, but there are still some food particles that are stuck in some corners that I can’t reach with a toothbrush. How can I clean that? Ans. You can spray the dirty corners of your dehydrator trays with a stream of water. You can also use a toothpick to remove the particles from the corner of the trays. If these options do not work, try soaking the trays in hot water once more and then try cleaning them. 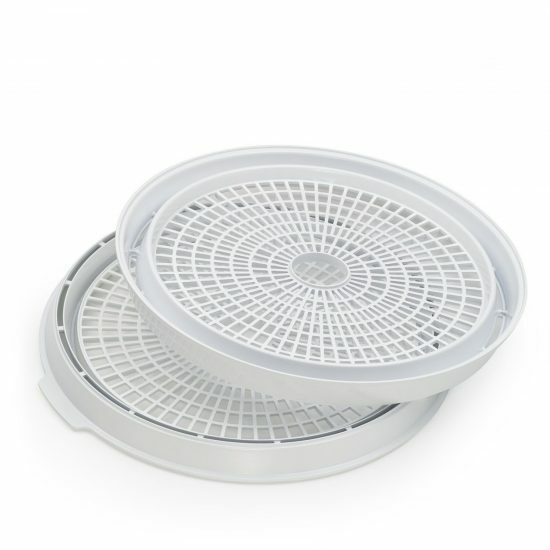 Keeping your dehydrator’s trays can offer you a range of benefits in the long run. It keeps your food fresh and free from contamination and also increases the life of your trays. Cleaning these trays is also much easier and you only need some simple household tools to do so. Most of the times, simply soaking the trays in hot water overnight is enough to get rid of most of the food particles that are stuck to the trays. You can remove the rest with a brush and let the trays dry once you’re done cleaning them. There are several advantages of cleaning your dehydrator trays clean - as we’ve discussed in this article. Remember, once you develop the habit of keeping the trays clean, not only will you enjoy dehydrating your favorite dishes, but you will also get much better dehydrating experience because of clean trays. For any queries, questions, or concerns, please browse through our website. You can also leave your thoughts in the comment section and we’ll answer you to the best of our abilities. 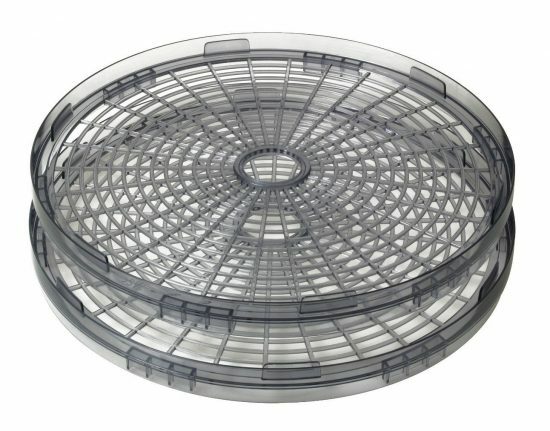 If you have any tips and tricks for cleaning your dehydrator trays, please feel free to share those in the comment section.